Bristol’s Charlie Follett, Buckinghamshire’s Sarah Collin, Plymouth’s Myles Pillage and Hampshire’s Bradley Sutton will all make their first Junior European Championships appearances in Barcelona this month. 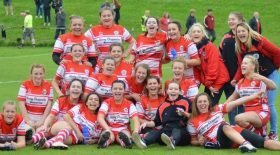 The quartet will be joined in Spain by Somerset’s Holly Parker and Cheltenham’s Jamie Harper who competed at the 2016 Championships in Drzonkow and Easingwold’s Georgia Pipes who will be making her 3rd consecutive Junior European Championships appearance. Whilst 6 of the team have appeared internationally in 2017, University of Bath student Harper will be making his first international appearance for 12 months after finishing 3rd in the Junior age group at the British Open Modern Pentathlon Championships, held at the University of Bath, last week. First year Junior athletes Pillage and Sutton, who both moved to Pentathlon GB’s National Training Centre at the University of Bath in September, will complete the Men’s team in Barcelona. Both athletes have made strong starts to their Junior careers with former Plymouth College Head Boy Pillage making his World Cup debut in Los Angeles in February. In addition to competing in the individual competition in the USA, Pillage competed in three World Cup Mixed Relays this season, the highlight coming with a stunning silver medal alongside Jo Muir at World Cup 2 in Cairo. In his latest international appearance, the 19-year-old finished 6th at the Milan Kadlec Memorial. At the same competition, former Wessex Wyvern MPC athlete Sutton recorded his best result of the season with a 9th place finish. The 18-year-old, who finished second in the Junior competition at the British Championships earlier this month, has also competed at senior world ranking competitions in Hungary and Germany this season. In the women’s team, 20-year-old Follett will be making her second major Championships appearance having finished 30th at the Junior World Championships last year. 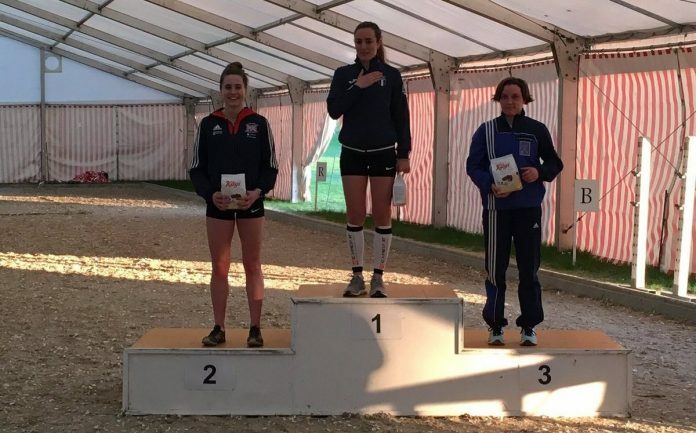 Former Leweston Pentathlon Academy athlete Follett has already appeared at four international events this year, finishing as the top British athlete in two of those, including claiming a superb silver at the Swiss Women International in March. 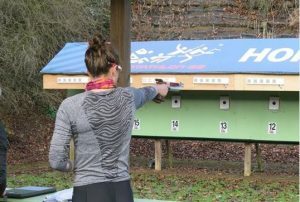 Fellow 20-year-old Parker is another athlete who will head into the Championships in good form having made her 2017 international debut in May and finishing 2nd in the Junior competition at the British Modern Pentathlon Championships earlier this month. Yorkshire’s Pipes, who will be making her first international appearance since early April after having university exams over the past month will be looking to build upon her 27th and 30th place finishes at the last two European Championships in Poland and Bulgaria. Following a long injury lay-off, the final member of the squad, 20-year-old Collin made her first international appearance for over 2 years at the Milan Kadlec Memorial last month. Barcelona will mark the first major Championships appearance at any age level for the Buckinghamshire athlete who finished 3rd at the British Modern Tetrathlon Championships in April. Charlie Follett, 20, from Bristol. Currently training at the Bath NTC. Georgia Pipes, 21, from Easingwold, Yorkshire. Currently training at Bath NTC. Holly Parker, 20, from Faulkland, Somerset. Currently training at the Bath NTC. Sarah Collin, 20, from Bourne End, Buckinghamshire. Currently training at the Bath NTC. Myles Pillage, 19, from Plymouth, Devon. Currently training at the Bath NTC. Bradley Sutton, 18, from Basingstoke, Hampshire. Currently training at the Bath NTC. Jamie Harper 19, from Cheltenham, Gloucestershire. Currently training at Bath NTC.